Click Here to Donate to Grace! 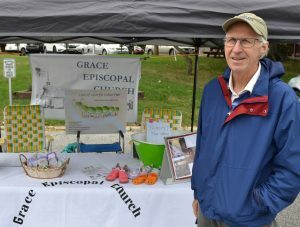 Outreach is an essential part of Grace Episcopal Church. We try to live out our Lord’s command to feed the hungry, clothe the naked, care for the sick, and love our neighbor as ourselves. We support many outreach ministries through a combination of funds designated for outreach in our parish budget and funds raised by year-long events, and direct giving from individual parishioners. Outreach is an activity of providing services to any population who might not otherwise have access to those services. A key component of outreach is that the groups providing it are not stationary, but mobile; in other words they are meeting those in need of outreach services at the locations where those in need are. Outreach also helps plant the idea in the mind of the community, out members and the groups we help. This way, when they are older and successful, they will remember the importance of giving back to the community. Being able to work with young children helps to influence the future. 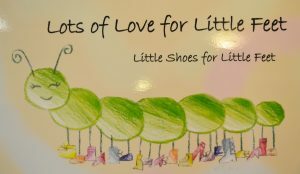 A primary outreach ministry of Grace Episcopal Church is that of our “Little Feet” program. Many children in out community need a new pair of shoes that may just not be affordable to their family. In 2018, we help offset the cost of ninety-nine children’s shoes by offering cash coupons to identified families of three local schools, as selected by the Willoughby-Eastlake School System. Annual Rummage Sale: A church-wide garage sale with thousands of items “for sale” in this highly successful fundraiser with all proceeds going to the Little Feet Outreach Program. Annual Bake Sale: Several bake sales are held annually with all monies raised benefiting the Little Feet Outreach Program. 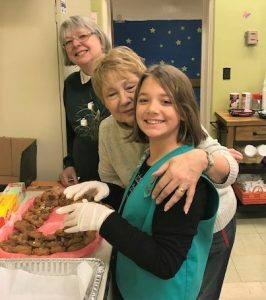 Annual Soup & Chili Cook Off: Lots of good cooking from not only our church members, but the Boy Scouts, local firefighters and many more make this event truly special. All proceeds are directed towards Little Feet Ministries. McKinley Community Outreach Center is identified and a key recipient of the time and effort of our outreach programs. McKinley Meals: We prepare and serve three meals annually of “Feed the Body, Feed the Soul” at the center. Our rector provides a Christian based lesson and prayer prior to the breaking of the bread. 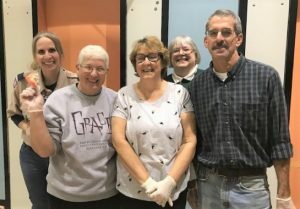 Other Support Services: Church members also volunteer at the center as well as donating clothing, shoes, household items and food for the pantry during the course of the years. 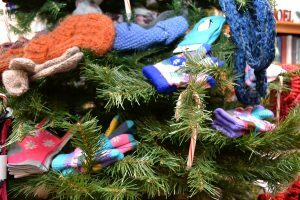 During the Christmas Holiday Season, recognizing that in our community there are so many families that are less fortunate than many of us, The tree soon becomes filled with mittens and scarfs for children. Clothing essentials of socks, underwear and much more are also collected and distributed to families in need. Many of our members donate essential items of food to “fill” the many gift baskets that are shared with local families in our community. Collect and deliver paper items to our friends at Project Hope. Maintain a book box for anyone to enjoy. This is located outside the lower level, rear door. Lake County Community Network support via the donation of items to the annual auction. Forbes House annual fund-raiser committee support and labor donations to assist this important Lake County Abused Women’s Shelter during its fund raising event. Holy Week – Please see times and specifics on main home page of website. We are disciples of Jesus, helping one another to be the hands and feet of Christ by sharing God’s love with the world.